Figuring out when it's alright to cut back and when something is a necessity. The newest trend in living is “going small”—tiny house, tiny car, tiny environmental footprint. It seems everywhere you look, the concept of “go big or go home” is out of fashion. But there are still some things you simply shouldn’t downsize without careful consideration. Insurance is one of them. 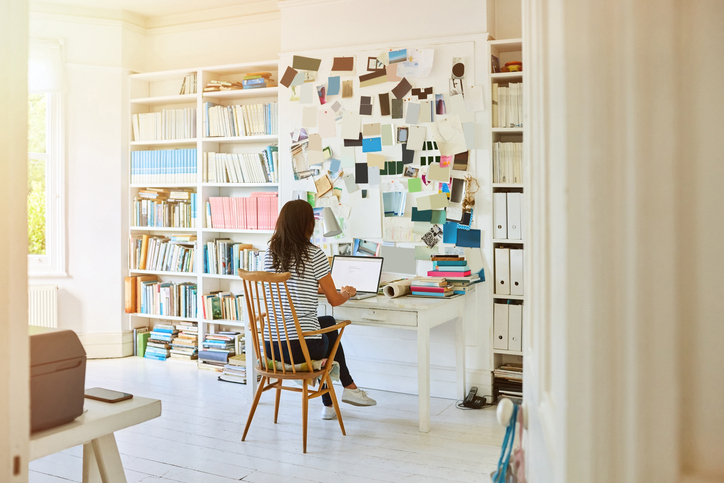 Despite the fact that simplifying your life and cutting out the clutter can lead to less stress, reducing or removing insurance is only a short-term gain. In the long term, you may find yourself on the hook for larger payments and ultimately more stress once you do come face to face with your insurance needs. There are some truths about insurance. It is a product, but your insurance purchases are not the same as buying physical goods. Whereas you might opt for a cheaper cut of meat at the grocery store to save money, your financial products, like insurance, are not usable goods. Instead, the importance of your insurance product is often measured by both your legal or contractual requirements and your personal needs based on the kind of risks you could incur. The minimum insurance you need to carry is often outside of your control. Even still, you may consider carrying more than the minimum insurance if you’ll have to pay a lot out of pocket after a significant event. Auto insurance is an example of coverage you must legally purchase in most states. With the exception of New Hampshire, if you are a registered driver, you must purchase a state-determined level of insurance. In Tennessee, for example, you’ll need to purchase a minimum $25,000 of bodily injury liability coverage per person and $50,000 per accident, plus $15,000 of property damage liability coverage. Average yearly insurance rates in the state are nearly $1,200 per year, making even basic insurance coverage potentially expensive. For auto insurance, there’s only so much “cutting down” you can do because the minimum threshold prevents that. And for auto insurance, purchasing the bare minimum is often a bad idea. In areas where car insurance rates are higher, you’re also often more likely to get into an accident, so you may pay a lot out of pocket if you only have the minimum coverage. Some estimates suggest most drivers will have an accident about once every 18 years, but if you’re in a city with a dense population and a lot of traffic, you may have far more fender benders. Can you get by with less than your state’s minimum requirement? Not likely. Underinsured driving can cost you thousands of dollars in penalties. Or if you have an accident with an uninsured or underinsured driver (13 percent of drivers in the U.S. are uninsured), then your insurance company will likely pass on the costs to you unless you have uninsured motorist insurance. And if your car is vandalized or is damaged by something other than an accident, and you don’t have comprehensive coverage, then you’ll probably be paying those costs out of pocket. There are other car insurance add-ons, such as roadside assistance, that can benefit you. But consider the likelihood of you needing these add-ons before you purchase them. There are no legal requirements to purchase homeowners insurance, so you can get as little or as much as you want or need. However, you may regret cutting corners just to save money. Any type of loss event with your home will be expensive. Whether it’s a house fire, burst pipe or tree through your roof, even one event may cost you thousands of dollars if you’re uninsured. Most home insurance claims are the result of property damage, and the average claim amount is about $9,000. The law may not require homeowners insurance, but your mortgage lender may require it. Your lender may also dictate the minimum amount you must purchase, and it may require you to regularly update your coverage based on the value of your home and the items in it. It’s important to regularly review your home insurance needs. If you’ve downsized your possessions, then you may need to reduce your coverage, which is ultimately a good way to save. Simplifying your life may provide the perfect reason to reduce your personal property or personal liability coverage. However, your home is still one of your greatest assets. Not carrying enough insurance to recoup your costs in a covered event may be too much of a risk. There are some home insurance add-ons you can possibly do without, such as coverage for landscaping or identity theft. But you should ensure your home’s structure and any pricey items inside of it are sufficiently covered. You may also want to consider what you can do to bring your home insurance costs down. Insurance companies often provide discounts for improving the safety of your home, such as installing a security system. Life insurance is optional in nearly all cases, so it may land on the chopping block for those looking to reduce expenses. However, it’s important to think of life insurance as a purchase that’s not about you, but your loved ones. That makes life insurance highly personal, and you’ll have to consider whether you need that coverage. A large number of personal factors will go into whether you need to purchase life insurance, including but not limited to the following. Whether you choose to downsize or even eliminate life insurance is one thing you can reassess as time goes on. You may find it’s simply not needed for you or your family. Or, you could find it will help ensure your loved ones are not left in a tough spot financially upon your death. Each situation will be unique, so your decision will likely depend on your financial and health situation.